If you have crowded, rotated or spaced teeth, Invisalign may be the best alternative to correct your smile. A series of computer-generated, invisible plastic aligners are used to move teeth over a period of time, to their ideal position. The process can often be used instead of braces and causes less discomfort. You are able to see a computer simulation of what your teeth will look like before committing to Invisalign. Best of all, you won’t feel self-conscious- the aligners really are virtually invisible! As the aligners can be removed you can continue to brush and floss as usual. Unlike braces, there are no wires, brackets or elastics to get in your way! You also do not have to worry about an emergency visit to the dentist or orthodontist with a broken wire or loose bracket. With innovative technology, the Invisalign system uses only a small force to move your teeth and effectively straightens your teeth predictably and comfortably. The aligners are made from lightweight, clear, tough plastic. At conversational distance they cannot be seen- they are virtually invisible! If you have a special occasion to celebrate, the aligners can be removed and put back in place afterwards. Invisalign can be used to treat a multitude of orthodontic problems but is particularly well suited for the following scenarios. This occurs when there is a lack of space to accommodate all of the teeth. Minor crowding can be corrected by moving teeth to expand the dental arch. More severe cases of crowding may also require some slight reduction in the size of certain teeth (usually only fractions of a millametre) to make more space. This occurs when you have extra space within your jaw. This can be due to your teeth being relatively small compared to the size of the jaw, or perhaps as a result of a missing tooth which has caused the surrounding teeth to shift due to the extra space. Invisalign is a great way to close spaces. Sometimes if teeth are very small, a combination of Invisalign and veneers may give the best result. Your Beenleigh dentist will work with you to create a custom-designed program that will address your specific orthodontic issues. The treatment program will involve a set of custom aligners made just for you. Invisalign can provide a virtually invisible solution to your orthodontic issues. If you are looking for a discreet option to straighten your teeth, Invisalign can be the best treatment option for you. Your Beenleigh dentist will evaluate your case to determine if you are a good candidate for Invisalign. At Alex Bratic Dental Care, we offer FREE Invisalign Consultation. 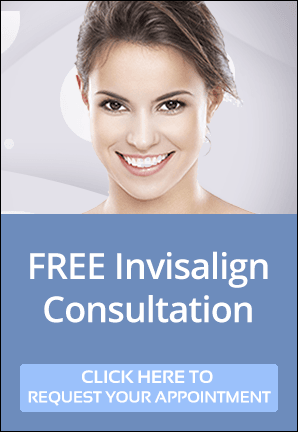 To see if Invisalign is right for you, book your free Invisalign consultation now.